Marie Laurence de Rochefort is a French Aristocrat - best known as a jetsetter with a wealth of experience in the industry. Marie has worked with the likes of Jean-Luc Godard and Haut & Court as a PR consultant; written fashion and gossip articles for many magazines; has been a volunteer with the charities “La Soupe Saint Eustache” and “Notre Damne de Salut” in Lourdes for over 15 years and made her mark as a television presenter. Marie hosted a very popular weekly programme “Ladies Night” for Paris Première TV and “On en Parle à Paris” for French National TV 3 to name but a few. Marie is also an accomplished novelist having sold over 33,000 copies of the controversial "Everything You Wanted to Know About Women Without Asking". 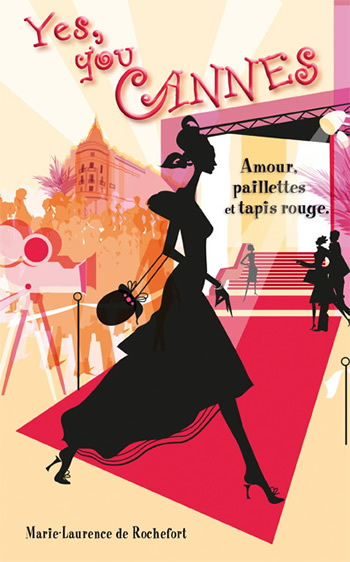 She went on to have further success with her acclaimed novel “Yes you Cannes” - Amour, paillettes et tapis rouge” taking you backstage at the Cannes Film Festival. We follow the preparations and pressures involved in putting this eleven day eclectic film festival together as well as the glitz and glamour of the red carpet and after party extravaganza. Marie’s passion for film is paramount and she is currently involved in many aspects of the industry… she is honored and privileged to be a part of The Angel Film Awards.